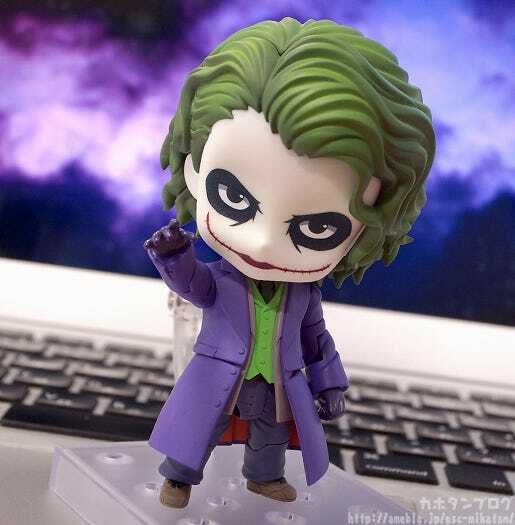 From the popular DC Comics film ‘The Dark Knight’ comes a Nendoroid of the Joker based on the highly acclaimed version of Joker played by Heath Ledger. 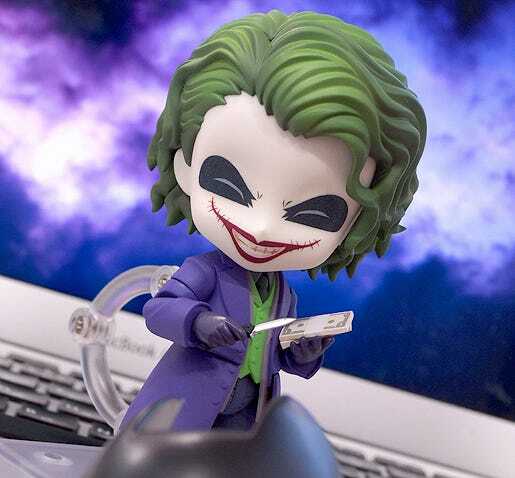 He is also the first ever villain from a live action film to join the Nendoroid world! 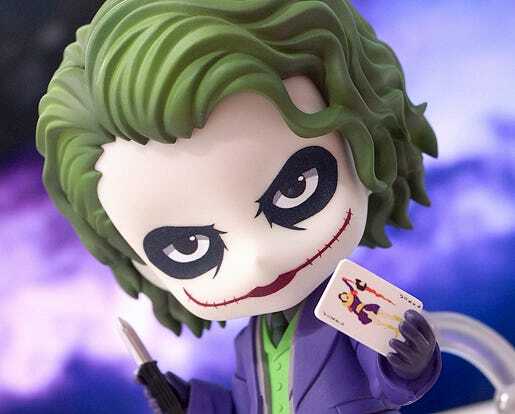 His eccentric yet twisted face paint has been carefully shrunk down into Nendoroid size, and he comes with both a glaring expression and a twisted smiling expression that certainly can’t be compared to any previous Nendoroid smiles! 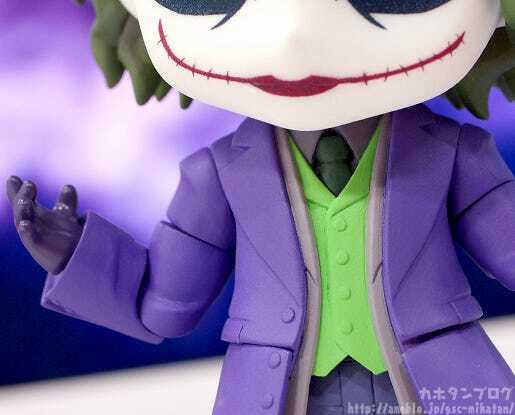 The back, left and right sides of his trademark purple coat are all movable allowing you to easily pose anything from his signature standing poses to casually cracking a joke. 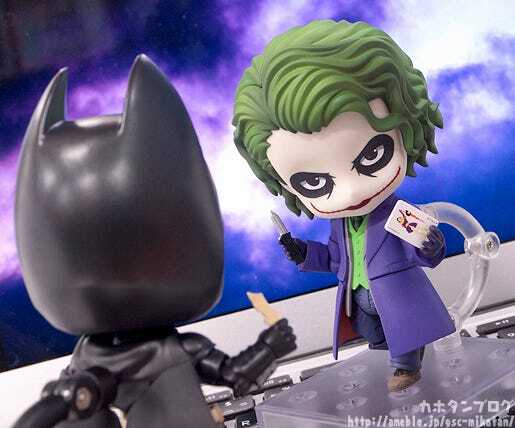 Optional parts include a knife, stacks of money and a joker playing card, allowing you to recreate various different situations as well! 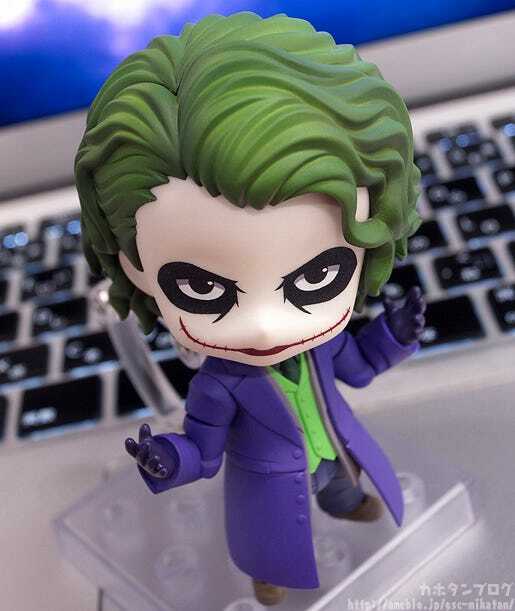 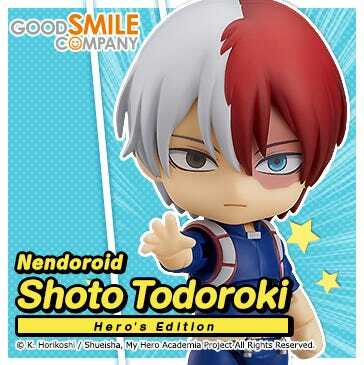 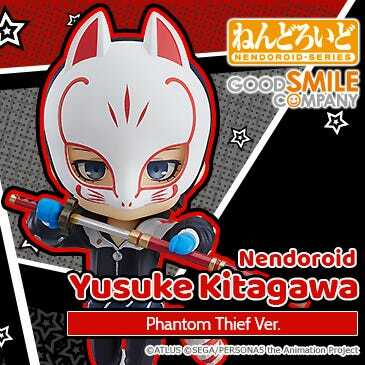 He is also the first ever villain character from an American comic series to join the Nendoroid series!! 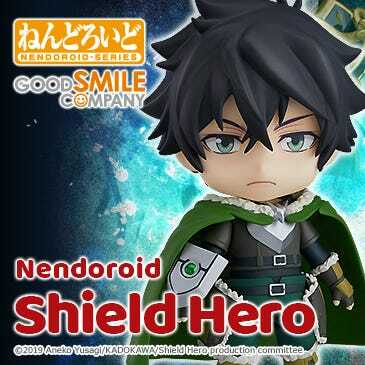 △ Even as a Nendoroid he looks rather intimidating! 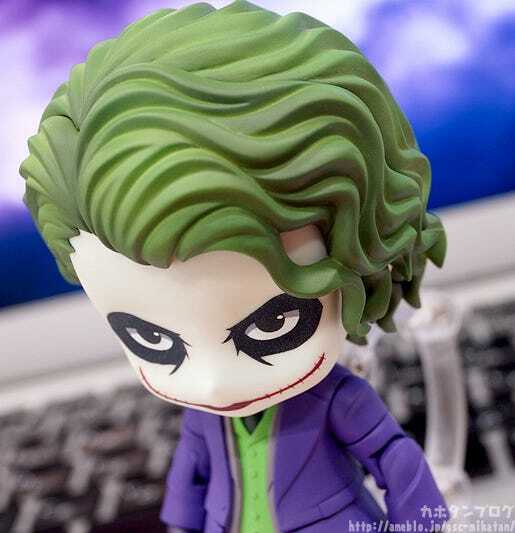 △ Note the one part loose from the rest showing the side of his forehead! 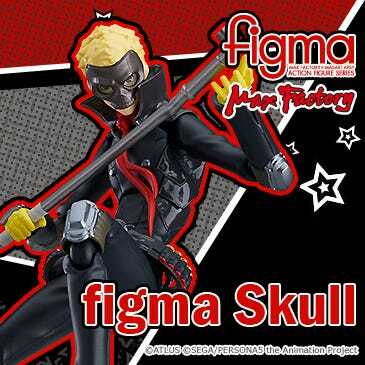 Also take note of his fingers!! 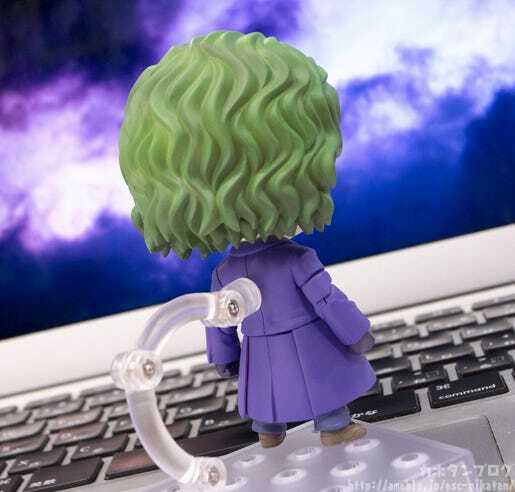 to create a really amazing appearance even from the back! 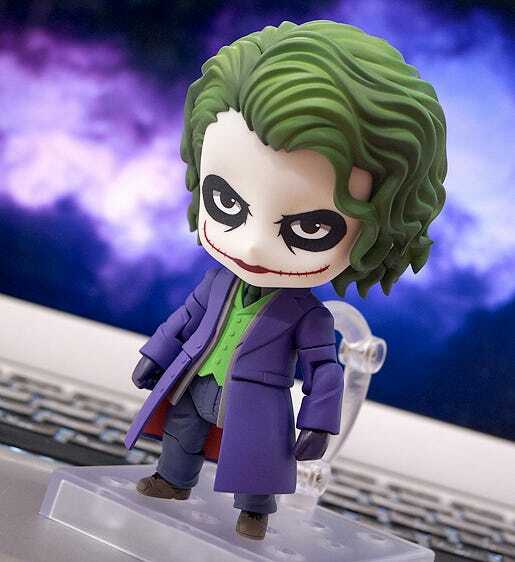 Of course the ideal Nendoroid to display with the Joker is the previously released Nendoroid Batman: Hero’s Edition! 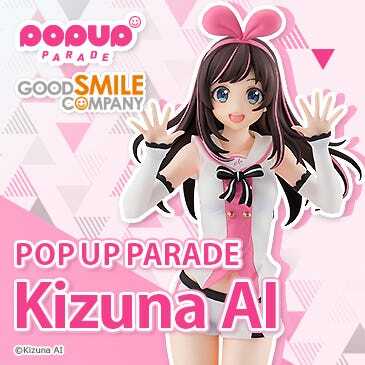 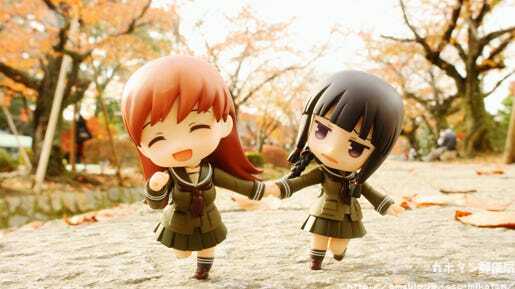 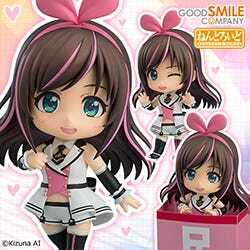 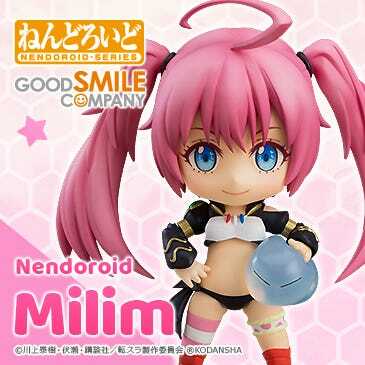 It might be a ‘smiling’ expression, but it certainly isn’t like most Nendoroids that have smiling expressions!! 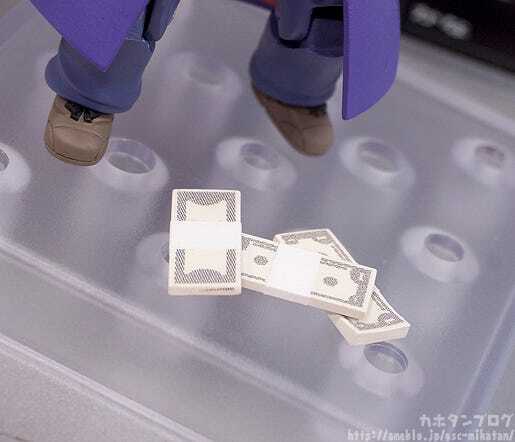 By the way, the money parts are not connected together and can be placed in any way that you can balance them! 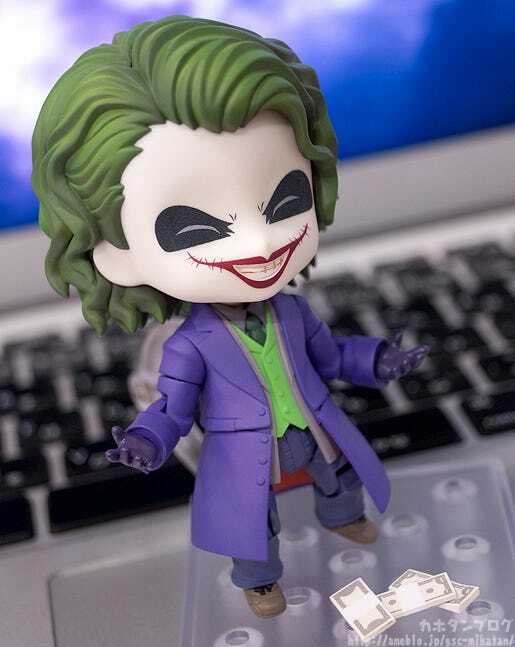 You can even place them in his hand if you’re careful!